What wage-earners have yet to comprehend is that many of the personal retirement accounts they are paying into annually at work will – regardless of how the markets perform over the coming decades – stealthfully bleed each employee of tens of thousands, even hundreds of thousands of dollars that could remain theirs. More than 15 million Americans are unwittingly allowing others to feed off their retirement savings. That is what bestselling author Pamela Yellen and investigative journalist Dean Rotbart conclude in a new expose’ that reveals the scary financial surprises buried in many 401(k) plans. 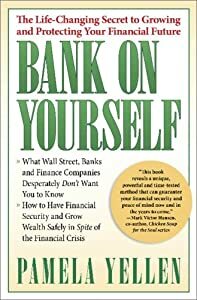 Yellen is author of the New York Times Bestseller BANK ON YOURSELF: The Life-Changing Secret to Growing and Protecting Your Financial Future; Rotbart is a Pulitzer Prize-nominated investigative reporter and editor. They just completed a year-long investigation that determined that annual fees for managing 401(k) investments can eat up nearly 39 percent of an investor’s entire life-long savings. Yellen and Rotbart explain how a typical 30-year-old worker stands to forfeit $64,000 or more in realized savings by age 65 simply by allowing a plan administrator to choose a fund with annual fees of 1.5 percent versus .5 percent. All this is happening with the approval of Washington. In 2006, as part of the Pension Protection Act, Congress approved legislation that shields companies and their 401(k) administrators from liability, if they make certain types of mutual funds the default investment. But these funds are costly, complex and risky. “What wage-earners have yet to comprehend is that many of the personal retirement accounts they are paying into annually at work will – regardless of how the markets perform over the coming decades – stealthfully bleed each employee of tens of thousands, even hundreds of thousands of dollars that could remain theirs,” Yellen and Rotbart state in the article. New York Times bestselling author Pamela Yellen is the originator of the life-changing Bank On Yourself system and related personal finance strategies. Pamela has worked as a consultant to successful financial advisors for more than two decades. Learn more at http://www.bankonyourself.com/. Pulitzer Prize-nominated investigative reporter Dean Rotbart has reported on business and financial topics since 1979. His editorial and research clients include numerous Fortune 500 companies and leading communications agencies. Learn more at http://www.newsbios.com/about_us.htm.